Bonjour! My name is Leah de Leon, and I am a senior documentary filmmaking major at Chapman University and I studied abroad in Paris, France, last fall. My time abroad helped me grow as an individual and as a creative, and that's why I am so excited to share my experience with others as a CEA Alumni Ambassador. Here are five quick reasons why you should become a CEA Alumni Ambassador. You get to relive it all over again (to people who want to listen to you)! “Okay, we get it, you studied abroad,” said all of my friends after listening to me rant about what an amazing time I had in Paris. Instead of receiving eye rolls from your best friend when you tell another story from being abroad, you will have an audience dying to know how your experience was! It is so fun to relive the highlights from classes, field trips, and weekend getaways. It’s the perfect way to get to share your stories and look back on all the memories you made abroad. 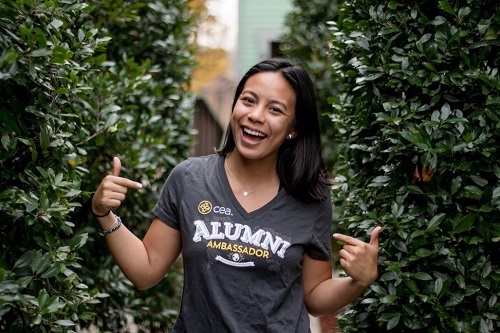 You make connections with other CEA alumni ambassadors. Part of being an ambassador is being a member of the alumni network. With our Skype calls and Facebook group, I feel like I have new friends from all over the country who share the same love for traveling as I do. This position is a great resume builder that will make you stand out. Since I am interested in traveling after graduation, this position as an alumni ambassador is a great way to show my involvement with an international program even after my semester abroad. The ability to work remotely and market to my university’s campus is a great skill I will carry with me post-graduation. It's a fun way to share your experiences about life after studying abroad. A lot of students, myself included, updated a blog while abroad, but not many people continue to write about how these experiences changed them after coming back to the United States. Being an ambassador opens up many doors for you to start that conversation and show other students how going abroad changed you for the better. You get to help other students study abroad! This is the best part. When I was looking into studying abroad, I felt overwhelmed, stressed, and confused about a lot of my options. As an Alumni Ambassador, you're able to be that friendly face that can answer students' questions. If you're interested in applying to become a CEA Alumni Ambassador, click here. 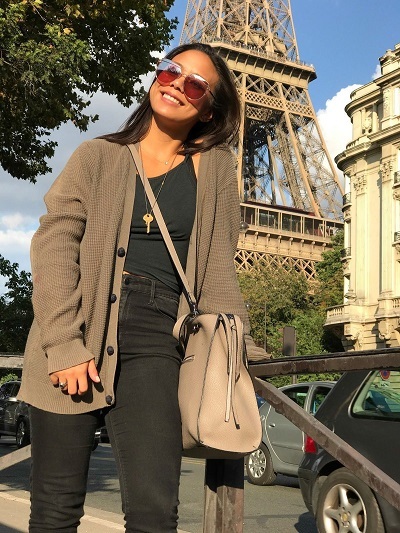 Leah de Leon is a CEA Alumni Ambassador, and went abroad to Paris, France in Fall 2017.